"These guys are smooth as silk, professional, authentic and spot on key--one of the best Doo-Wop CDs we've heard this year!" 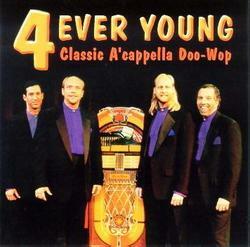 This CD made Primarily A Cappella's BEST SELLERS LIST. Click on an underlined song to hear a sample MP3. Click here to order your very own copy of this CD! "These guys obviously have a great time singing together, and if their goal is to make listeners have that much fun while hearing the CD, we'd say 'Mission accomplished'."